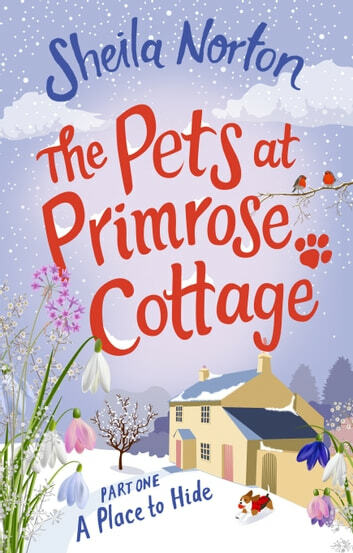 PART ONE of a serialised novel - a charming and romantic story about living the simple life and the joy of animals. Emma Nightingale needs a place to hide away. Pursued by the demons left by her ex-boyfriend, she takes refuge in quiet Crickleford, a sleepy town in Dartmoor, where she can lay low. Life in Crickleford is quiet and peaceful, but it won’t be for long if people discover the truth about Emma’s past. Not wanting to make too much of a fuss, she ends up lying about why she's there - she's looking after some cats, she says - then suddenly the town’s new ‘pet-sitter’ is in high demand! Note: this is part one of a four-part serialised novel. A wonderful little book that was fun to read with a central character that seems to have no idea what she's doing. Perfect read at the end of a stressful day! There is obviously a bit of a mystery attached to Emma Nightingale and, very cleverly, the author hasn’t revealed it right at the beginning of this story! We first meet Emma upon her arrival in Crickleford, her chosen place to escape from all the unwanted attention which is so upsetting to her family. 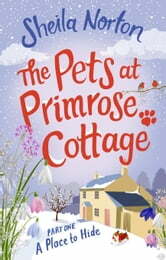 She has arranged lodgings at Primrose Cottage which turns out to be every bit as idyllic as it sounds. As she begins to settle in and find a way of earning some cash – more by accident than by design – Emma is very wary of making friends and tends to shy away from publicity. Unfortunately, uncovering a burglar interferes with that plan .. Sheila Norton writes easy to read, well flowing books with a fine cast of characters and intertwining storylines. This is a perfect read at the end of a stressful day and I’m already looking forward to the rest of the series. Very definitely recommended! My thanks to publisher Ebury Digital for granting me an arc via NetGalley. This is my honest, original and unbiased review.